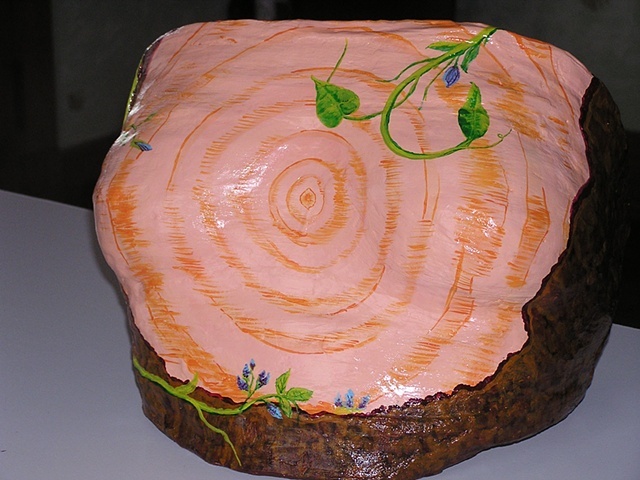 Title: Mother's Nature, A hand-painted, plaster cast of the artist's bust donated to The Empowering Alliance Mardi Gras auction, March 5, 2011. This event raises funds to support women in Allegany County, New York who are fighting breast cancer. The subject of this fundraiser was inspired by similar works done by the Keep A Breast Foundation. The artist donates this work in memory of her mother, Janet Kalkbrenner. Janet was 42 when she died of breast cancer in 1994. The artist was 24 at that time.